Our Ansonia office is closed, as of 3/1/19. We look forward to serving you in our Hamden and Woodbridge locations! 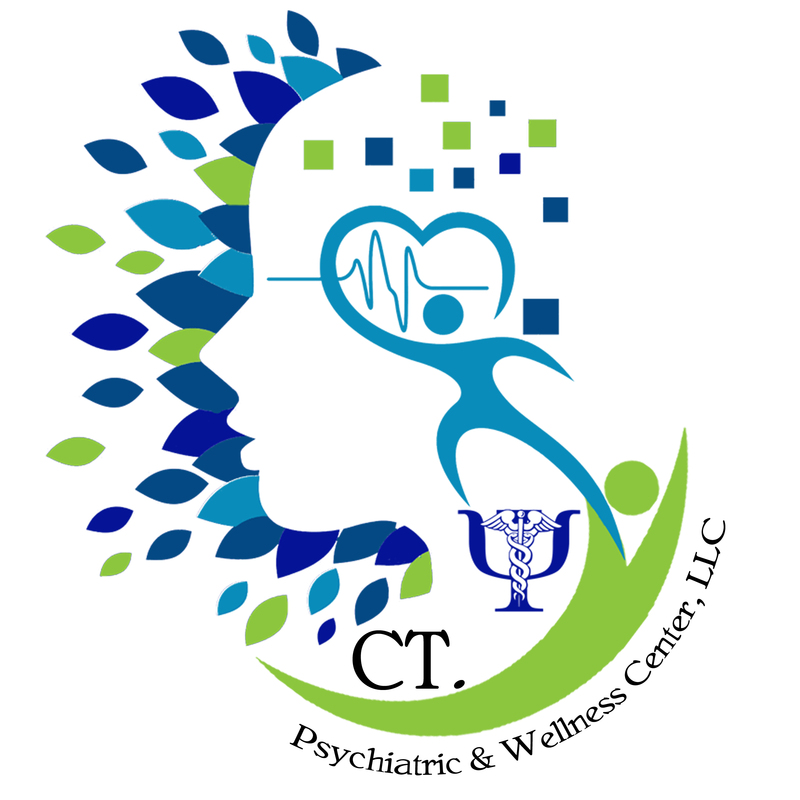 Located in the Greater New Haven area, Connecticut Psychiatric and Wellness Center, LLC is dedicated to providing our clients with individualized and comprehensive mental health care. We provide treatment to children, adolescents and adults through individual, family and group therapy as well as medication management, and collaboration with other providers and systems in our client’s lives. Our team is comprised of dedicated, experienced and qualified professionals who utilize a holistic and strengths based perspective, which emphasizes empathy, self-determination, unconditional positive regard and empowerment. Our clinicians treat a broad spectrum of mental health issues, including: depression; anxiety; Autism Spectrum Disorders; Adjustment Disorders; Attention Deficit Disorders; complex trauma histories; emotional disturbances; global developmental delays; Transgender/LGBT issues; chronic medical conditions; grief; duel diagnoses (substance abuse and mental health disorders), etc. Our team uses advanced and best practice treatment interventions to help our clients reach their goals and support them with connecting to additional community based supports as needed. · Individual therapies for children, adolescents, adults and older adults: Cognitive Behavioral Therapy (CBT); Trauma Focused Cognitive Behavioral Therapy (TF-CBT); Solution Focused Therapy; Art Therapy; Trauma Focused therapies; Dialectical Behavioral Therapy (DBT); Play Therapy. CT Psychiatric & Wellness Center offers interventinal psychiatry, including Ketamine Therapy, Transcranial Magnetic Stimulation (TMS) Therapy, and newly-added QbTest for ADD assessment. Ketamine therapy is a safe, reliable treatment tailored to your unique medical profile, used to treat Severe or Chronic Depression, Bipolar Disorder, and Post-Partum Depression (PPD). We administer the therapy using state-of-the-art technology and monitor and evaluate your response and progress carefully. Please click here for more information. TMS Therapy, provided by Neuronetics, is a drug-free, non-invasive treatment for people with major depressive disorder, anxiety, autism, and ADHD. Please click here to learn more, and to set up you consultation, contact Betty at 203-550-3719! QbTest is our newest service in interventional psychiatry, provided by QbTech. QbTest is a test to evaluate the symptoms of ADHD for children and adults that combines motion-tracking analysis with a uniquely designed continuous performance task. Please check out our QbTest section to learn more about the test and how to schedule your assessment! For more information, please give us a call at (203) 298-9005. Be sure to connect with us on Facebook or Twitter!